The OLIVERS Passage Pants look like a pair of regular pants, which is great. They’re also versatile, comfortable, and provide a professional look with a casual feel—which is even better. 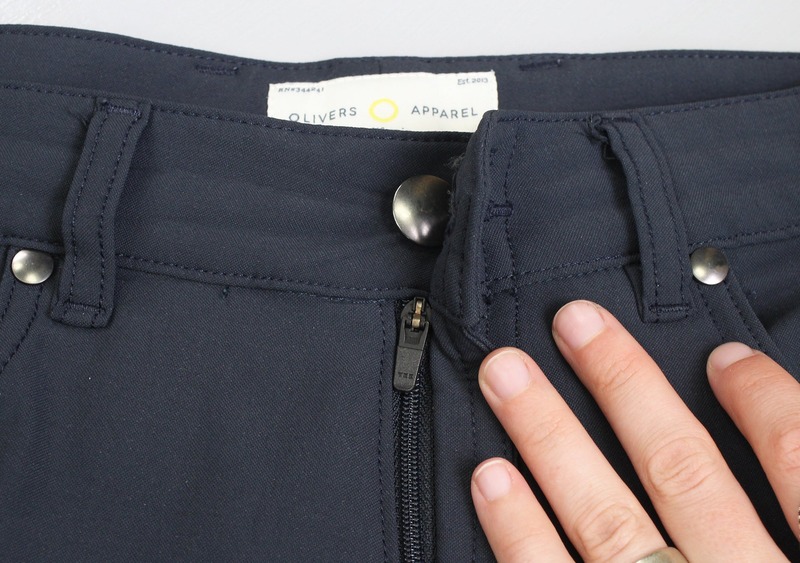 In this review, we’re taking a look at the OLIVERS Passage Pants. These are a versatile, comfortable pair of pants that are great for travel and everyday wear. Let’s jump right in. When it comes to travel pants, versatility and comfort is king—and we’re happy to report that the OLIVERS Passage Pants check both of these boxes. They’re made with a blend of 91% CORDURA® grade nylon and 9% spandex, which offers a comfortable four way stretch with some solid durability. They’re stretchy enough for some athletic activities (probably nothing too crazy) and comfortable enough for lounging around. However, they’re not excessively stretchy—so they’re not going to drape off of you as you’re wearing them. 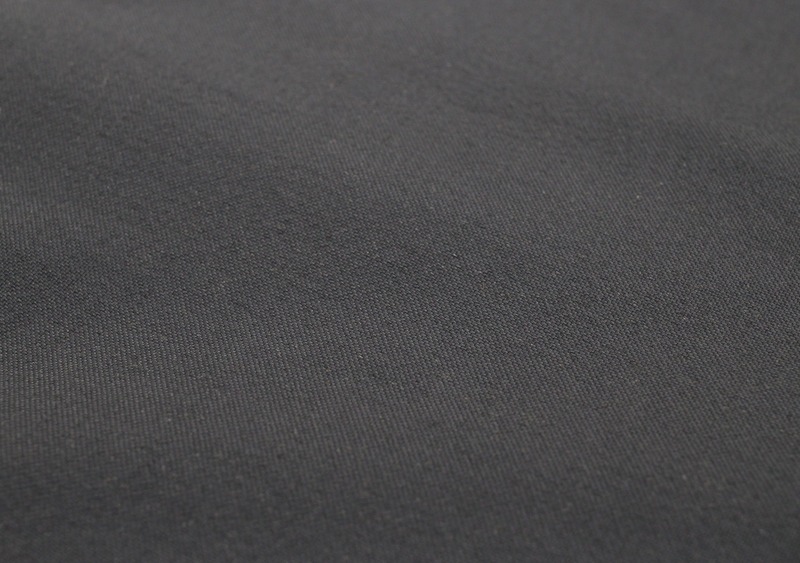 This fabric is comparable with other synthetics, so although they don’t really have any anti-microbial properties, the thin material allows them to dry quite quickly. This is great at home, where you can just give them a machine wash on cold and lay them flat to dry. 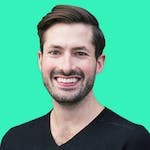 When you’re on the road, you can fill up a sink in your Airbnb, hotel, hostel—wherever you are—with some tepid water and soap. Give it a quick hand-wash, lay flat to dry, and you are good to go. As far as aesthetics go, these pretty much just look like a normal pair of pants—which is what we like to see for travel pants. These can more or less pass as chinos or slacks, and look good with an Oxford shirt or any kind of “dressy” clothes. They might not be dressy enough for a formal business meeting or a “gala” type of event (because we go to so many of those), but they’ll get the job done for most use-cases. If you’re a minimalist, just going for that one pair of pants to bring on your travels, we think these are definitely a good choice. Between the fabric, hardware, and general aesthetic… it all comes together quite nicely. These pants have a great fit and feel with just enough stretch—plus, they’re soft to the touch. OLIVERS offers five pockets on these bad boys—two in the front, two in the back, and a fifth security pocket on the right front pocket. These are all pretty average, like you’d see on any other pair of pants. 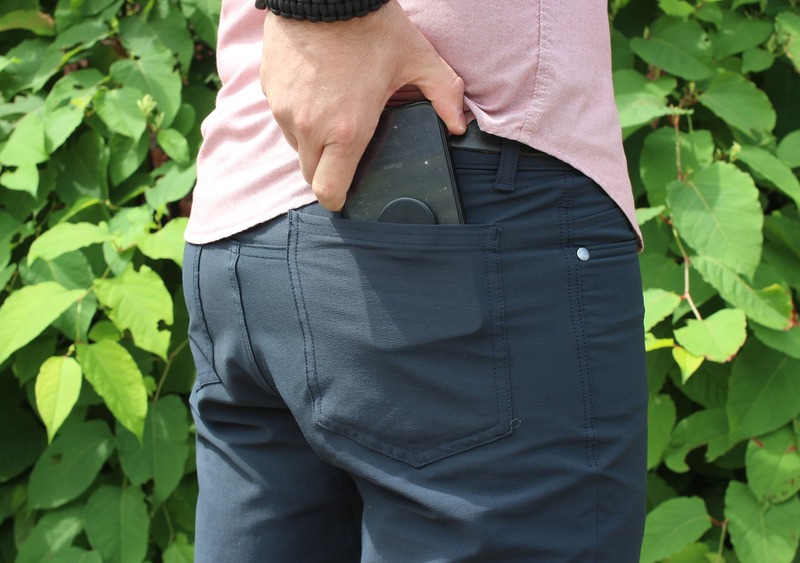 The best way to describe the size of the security pocket is that you can fit about three fingers into it—so it’s definitely a good theft deterrent pocket. You could throw a few bills in here, maybe a couple keys… but you most definitely cannot fit a phone or wallet. No way José. 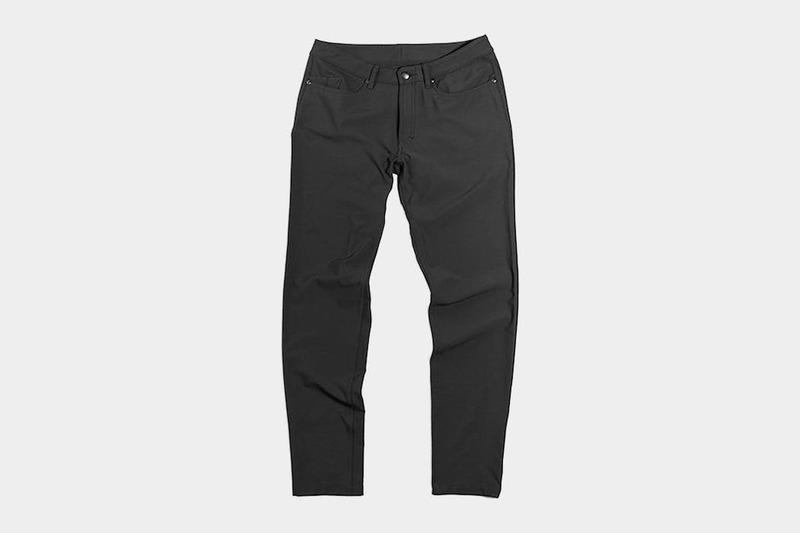 As a side note, if you want an example of pants that handle security pockets really well, be sure to take a look at our review of the Bluffworks Chinos, as well as the AT Slim Rivets from Western Rise. They have a nice low-profile zippered pocket that adds an additional layer of security. So for the most part, these really are just like a standard pair of pants. OLIVERS likes to explain them as “your favorite commuter jeans on steroids,” and we’d tend to agree. They basically just took the pattern for a normal pair of pants, used some really high quality fabrics and materials, and brought it all together in a nice, cohesive way. 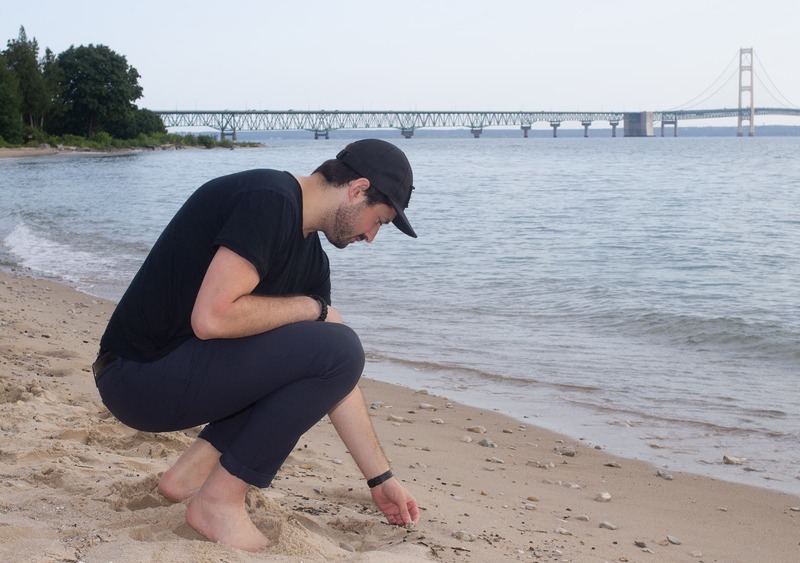 The result is a very solid pair of pants that are versatile, stylish, and great for travel or every day use. Overall, these pants fit true to size—they offer a fitted look without being too slim. Tom is 6’2″ with long legs, and he confirmed that these things fit him just fine, which is good to hear. At the time of this review, we’ve been testing these pants for about two months. So far, we haven’t seen many durability issues with them outside of a couple of loose and fraying pieces of fabric—but even then, they’re pretty minor and hard to spot. We’ve reviewed quite a few other pants and we hold the Outlier Slim Dungarees in pretty high regard. We’d say they are basically the gold standard of versatile travel pants, but these come quite close. They pick up dirt and get smelly a bit faster than the Dungarees, but overall they’re a very solid pair of pants! Great! Stretchy, comfy, digging the look. Still going strong, the security pocket is a little tough to use. Starting to see some fraying—nothing catastrophic, but something to note. Lightweight, soft, and just-right stretch feel. High quality materials used throughout. Versatile, professional look with a casual feel. Fifth security pocket is hard to utilize. Fabric tends to pick up dirt a tad quicker than expected. A couple loose threads after one month of use. The OLIVERS Passage Pants are a great pair of travel pants, and easily rank amongst the top pants we’ve tested. They’ve got just about everything you could want out of a travel pant—they’re comfortable, versatile, and stylish. Our only gripes are that the security pocket is a bit difficult to use, and we’ve noticed some fraying sooner than we would have expected. And while they do have one security pocket, if you’re looking for something with a strong security focus these might not be your best option. But for everything else… the OLIVERS Passage Pants will suit you well!